My morning New York Times alert reads about the state of New York taking over Nassau County’s finances after months of ominous warnings. The county may sue to block the takeover by the state. This is certainly a crisis for the county and it’s customers (the taxpayers). They may find lawsuits being flung their way. This is a crisis that affects their liability, human resources, income, and reputation. Makes you wonder what strategy the leaders had in going in to a situation. It should also be a case study for you and your business on proper planning, implementation, and response. In any crisis, there is always an initial threat (county in the hole a cool $350M); a warning (the state is going to do a takeover); an event (today’s takeover); a response and an impact (waiting). How they respond will ultimately produce an impact, either bad or good. There is a lot at stake for this entity, even though it is a government. Loss of reputation, potential lawsuits, and morale of the taxpayers is at stake, as are many jobs. What crisis can you imagine that might touch you in similar ways? You may not soon be in danger of being taken over by the state of New York, however issues related to bankruptcy due to a catastrophic event is always a possibility for any organization regardless of size. It behooves you to proactively plan, implement, and practice situations that could threaten your very survival. What’s Going on Behind Your Back? Posted on January 19, 2011 CategoriesLeadershipLeave a comment on What’s Going on Behind Your Back? Captain Jack ate a screwdriver this morning. Perhaps he thought it was the alcoholic beverage, however in fact it was a real screwdriver. 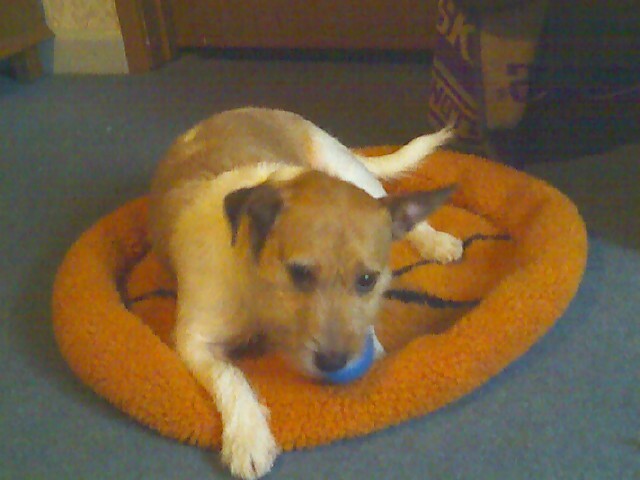 You see, Captain Jack has a permanent spot in my office on his little basketball bed where he chews his bone. The thing is hard as a real bone and he’s been working on it for at least 6 months. I was sitting here obliviously typing away, listening to the crunch – crunch of him gnawing on his toy. Until I looked at him. He had found a small screwdriver I use on occasion in the office and was feverishly chewing the yellow handle. He had made it down to the “bone,” rendering it completely useless. He had taken advantage of the fact that I was distracted (which happens often). I guess that happens when you’re not looking. What are your employees doing when you’re not looking? Now, I would never propose that you become a micro-manager. That’s bad for you and their morale. It’s about being observant. Being observant of behaviors, attitude, culture, and personalities. Be observant from a distance and up close. Watch body language. Inspect things that seem out of sorts. Don’t be afraid to ask questions. How do you think most employee theft gets caught? It’s by being observant to those strange (and not so strange) sounds that you become used to. Don’t let commonality cloud your judgment. More often than not, your gut feeling has great validity. The next step after that is being able to take action. My action was too little, too late for the screwdriver. Yours doesn’t have to be. Two words will help your leadership to flourish – be observant! My parents who are both 86 years old will be moving into an assisted living facility this week. My dad has been diagnosed with terminal bladder cancer. Both he and my mom are in need of 24/7 care to take medications, deal with medical issues, and basically be available at any time to aid and assist. At one time, my wife Barb and I thought we could make it work to bring them to our house. We quickly realized that Dad and Mom need professional care, something which is way above our pay grade. We also need to take care of ourselves and our family to adequately be there for them. The process of looking for an assisted living facility has become an education. We’ve found a marvelous one near our home and are very pleased. What’s not pleasing is the cost. This article is not meant to rail against the high cost of the facilities because they certainly earn every penny they get. What they provide in value is worth the compensation. The purpose of this article is a warning. 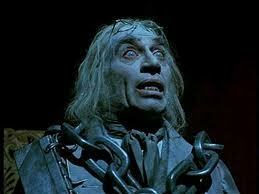 Consider me like the ghost of Jacob Marley in Charles Dickens classic story, A Christmas Carol. I’ve come for your reclamation. The reclamation I speak of is in the future. It’s the re-claiming of your finances and money you worked hard for your entire life. It’s the re-claiming of peace of mind for your children and family. It’s taking care of business in advance so that the stress of age and declining health isn’t exacerbated by financial burden. Monthly costs for your stay should you need assisted living varies greatly based on your needs. Let’s just say in 2011, the range can be from $6,000 – 10,000 per month. That’s right, per month. Veterans have benefits available, but mostly just for those who have no to low-income. I would anticipate that over the course of the next 10-25 years, you will see an increase in costs and a decrease in availability. Supply and demand at work. The younger you are, the lower the premium. I’m paying $600 per year for a benefit of $180 per day ($5400 per month). I’m going to chat with my agent about increasing that amount. My company will keep this premium at this level forever if I don’t raise the benefit amount. Basically, like life insurance, if you buy young, you end up spending much less and your premium will always be lower. If you wait until you’re older, you will have a higher premium because you’re closer to using it! Buy while you are insurable. Many things can make you uninsurable or give you higher rates. Diabetes, cancer, high blood pressure, multiple sclerosis, heart problems or even an accident. Heck, the memory test they gave me was hard enough at 41 years old; I can’t imagine I would have done better 25 years later! An accident now might put you in the unenviable position of needing assisted living now. The late actor Christopher Reeve certainly needed assistance after his riding accident in his 40’s. He had the money. We may not. You’re lifted a financial and care burden for your family. There is a lot of responsibility that comes to the family to take care of aging parents. Help your family out by planning in advance with your own money. While Dad didn’t have Long-Term Care (I don’t even think he knew what that was), he did his planning on his own and made it easier for us. You don’t have to save all your money. Instead, you can transfer that responsibility contractually to an insurance company by paying your premium now. If you’re in your 40’s, you may think you’re still too young. Professional financial advisers often tell you to start thinking of this at age 55 or so. That’s decent advice, however I don’t think it’s ever too early to consider. If you have a parent that is between 50 and 65, you may broach the subject with them now. It should be something you discuss as a family now, because it may be too late down the road. Here’s the bottom line. Assisted living and nursing homes are very expensive and can drain bank accounts quicker than a leaky pipe under your sink. I only see this trend increasing in both need and cost in the future. Medicare and other health insurances don’t cover the cost of rent or aid and assistance. I predict that this will be a severe crisis if our elderly and their families can’t afford the type of care they need. You do have options and they include insurance. Diversify your savings for that time between savings, smart investing, and Long-Term Care insurance. The money you save just might be your own! The events of last Saturday are emblazoned in the minds of all Americans. The Safeway store in Tuscon. This was the location of the rally. How did the store deal with this in relationship to its employees, its customers, and the indelible sight of the Safeway brand on CNN and the other media outlets? Did they have a disaster plan in place that they could fall back on? The State of Arizona. I saw the Governor on television and heard from the representatives from the state. Had they been fully prepared to talk with the media, reach out to victims, and handle collateral damage? Politicians. National, state, and local politicians all have another peril to be concerned about. I don’t recall another shooting like this since 1981 and Ronald Reagan. The big names all have their entourages. What about the congressional leaders, state leaders, and even local leaders? What changes now have to be made? Firearms dealers. You may only sell hunting rifles, but you are back on the front-line in public perception. How do you allay the fears of the public, while being able to legitimately carry on your business? These are only a few examples. In looking at risk as a crisis manager, you must be prepared for even the unthinkable. You must take precautions to avoid crisis, mitigate damage if it does happen, and make sure your reputation is only enhanced in how you dealt with it. All this takes planning, preparation, training, practice, and implementation. This is an opportunity for you as a business executive and organization to look at situations. How do you handle the unthinkable? Gather your team together and brainstorm. Determine what areas of vulnerability you have. What are the worst-case scenarios and how do you best deal with them? How do you communicate to your employees, investors, supply chain, and media? Too often, this is brushed aside to be dealt with only if it happens. Take my word for it, that is the worst time to deal with it. You must be prepared and plan it out. Just like a basketball team practices for any situation, you must prepare for yours, too. My alma mater, the University of Washington, has a pretty strong men’s basketball program again this year. They are the pre-season pick to win the Pac-10, and are ranked in the Top 25 of college basketball. Two days ago, they lost their starting point guard, Abdul Gaddy, for the season due to a torn anterior cruciate ligament. For many programs, this type of loss could be a killer. For the Huskies, although it hurts, they have an extremely deep bench and it simply means some guys get more playing time. In last night’s tilt against Oregon, freshman Terrence Ross scored 25 points in extended action in the win. The Huskies coach Lorenzo Romar has constructed a team that is prepared to go “next guy up” when disaster happens. Take a look at your organization. If you were to lose one of your top management people, top sales producers, or top technology gurus, what would you do? They may be hired away by a competitor; forced to move due to family issues; or perhaps be killed or disabled. Heck, what if the CEO or another C-level position is lost? For most organizations, this is a crisis. How the organization handles it will ultimately determine its success or even survival. Organizations must do what Husky head coach Lorenzo Romar has done with his “organization.” They must develop bench strength. The concept of “next guy or gal up” must be a part of the process, and it must be planned. As head of our organization, regardless of your size, you must have a plan in place to deal with sudden loss of personnel. In fact, I maintain that the smaller the business, the more critical each moving part becomes. Example – if you are a 5-person insurance agency and all of a sudden lose the only commercial producer you have to a competitor, what do you do? Are one of the other people in your office capable of picking up the duties? Have they been trained in advance? Are there relationships you’ve built with other individuals or referral sources that you can tap? What usually happens is the owner must pick up the slack, meaning that the work they were doing goes undone or delayed. Crisis comes in many forms. 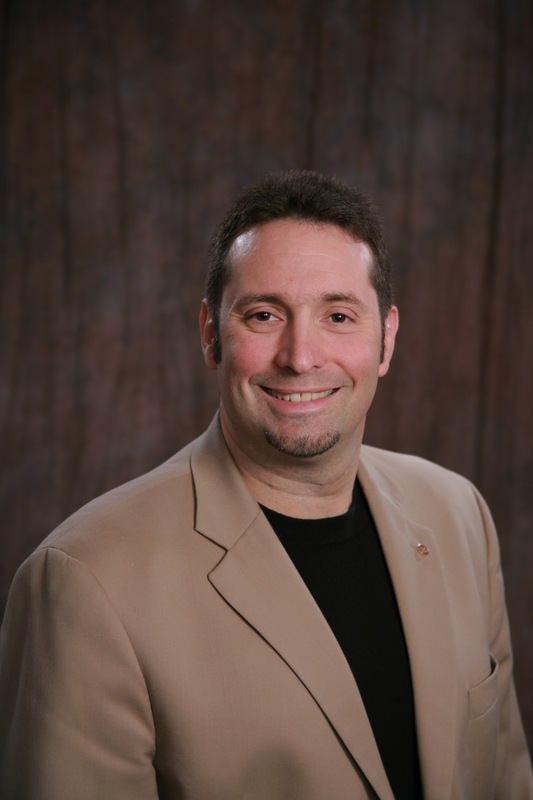 These topics under Crisis Strategist will offer you peeks into different scenarios that may be a crisis to your business. Some can be covered by insurance; other can’t and must be planned for and communicated to employees. Virtually every one involves improving relationships either internally or externally. In this case study, developing a strong bench takes time. It requires actions like recruiting, managing, training, and communicating. Too often, this detail is overlooked until the crisis is at hand, which only exacerbates the issue. Take control of your bench and make sure you are in position to win the game when your star goes down! I just received my 2010 Review from my blog site. Interesting, so I thought I’d share. In 2010, there were 125 new posts, growing the total archive of this blog to 387 posts. There were 35 pictures uploaded, taking up a total of 71mb. That’s about 3 pictures per month. The busiest day of the year was April 2nd with 47 views. The most popular post that day was Need to Get Away? Not Good for Frontier Bank President. The top referring sites in 2010 were facebook.com, digg.com, danweedin.com, legal5ounds.com, and linkedin.com. Some visitors came searching, mostly for frontier bank, intellectual capital and intellectual property, pat fahey frontier bank, weedin360.com debrief-from-the-mentor-summit-in-san-francisco, and big mo basketball.